Stuck. Between the third and fourth chapter of the gazillionth revision of my novel. Somewhere a segue exists but currently – I can’t find it. I know it will come – somewhere over the rainbow. But the frustration of the moment calls for a break from writing and a massive piece of comfort chocolate. As I reflect on life in general and writing in particular, I realize life is filled with gaps. Those years between holding a newborn and watching him walk across the stage to grasp his diploma. A quickly-passing gap. Overwhelming emotion at both ends of said gap. The gap between the germ of an idea and holding the published book in hand. Multiple revisions and gnashing of teeth. Still stuck between chapters three and four. But the most telling gap underscores the fragility of life – imaged perfectly in cemeteries. A name engraved on the headstone. A birth date. A death date. But it is the gap between those two dates that determines the legacy of that life. What occurred to that person and because of that person during that gap? How many people did she influence? How many friends did he make? Who will mourn the presence of the owner of that gap? I bring out my journal to analyze my thoughts. Think of the people whose gap moments affected my life: parents, siblings, perhaps even ancestors who prayed for me – folks I have never met. I know them only through faded black and white photos and those headstones in the cemetery. Teachers. Writers – oh yes – the numbers of writers who have influenced my life and also my calling to write. Innumerable. Pilgrims within and beyond my family. My students through the years. My clients now – how much I learn about writing from the actual process of coaching writers! My son. The brave one who beat cancer. We celebrate every July 4th and believe the fireworks are for him. The people I know who live with chronic pain and complain far less than I about their daily struggles. These warriors encourage my own gap-living and remind me to endure, to persevere, to grit my teeth and keep trying. Although we celebrate births and mourn deaths, we don’t pay as much attention to the gap in between. Yet that gap is where hope exists, where it is nurtured and grows, where it expands to affect other gappers. Perhaps we need to do more of this – to celebrate each other while we have life. To invite another gap-traveler for coffee, to toast each other and determine we will pray for each other. Maybe we need to underscore reasons for more parties, for cake and ice cream just because we love the taste of life. Should we not celebrate with writers, artists and every day workers who persevere and heroically make it through another day? And there it is – suddenly the segue I wanted, hiding within the paragraphs of journaling. A nugget of hope within my own gap. But in the totality of my gap life, I believe the divine One will cheer for me. 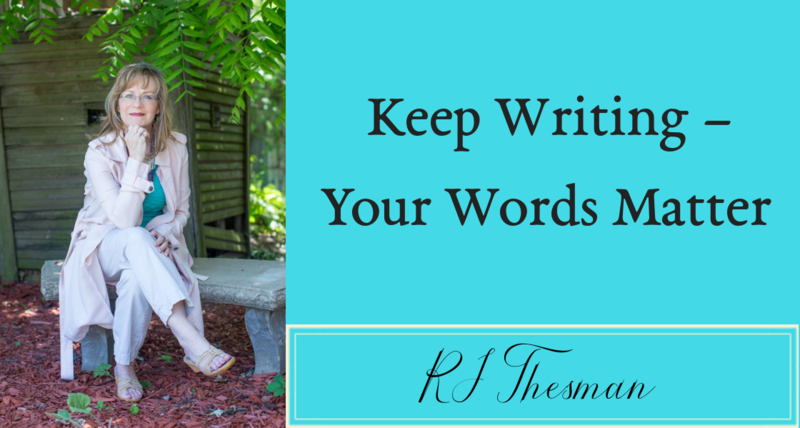 He will understand the joy I feel in moving forward with my words. And when he reviews this life with me, he will remind me how important it was to find that segue. His whisper of “Well done” will be my trophy. When the words flow, our creative juices whet the appetite for more. 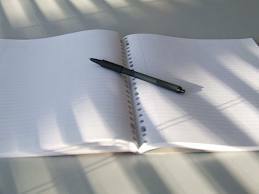 Writing becomes enjoyable work. But when we have to fight ourselves to keep in the chair and force our fingers to keep typing – then we wonder why in the world we ever chose to do this mammoth task. Most of the time, when I sit in front of the computer – my fingers just take off. But occasionally, I have to force feed the sentences and that’s when I try to discover what has stalled my creativity. But I can’t do that. If I don’t get my regular eight and sometimes nine hours of rest, I invite sickness, crankiness and all sorts of nasty attitudes. Nay, nay. To be creative, I must sleep. Stress. Neck muscles tighten. Blood pressure soars, and a headache begins to throb. Stress visits through unpaid bills, too many night-time activities when I don’t get the afore-mentioned shut eye or when anything at all happens to affect the car. In my opinion, any type of car problem equals stress which results in stalled creativity. I find nothing at all creative about oil changes that turn into leaky hoses, bald tires or anything at all that is goofy in the transmission. I might have less stress if I just bought a horse. Wrong Direction. Sometimes we have to write a while to find out which direction the characters want to go, but if we come to a block where nothing is happening and we’re bored with our own words, creativity stalls. That’s when the writer reverses gears, discovers a new character or resorts to binging on chocolate. Fear. What if no one wants to read my incredible manuscript? What if I write and write and no one ever nominates me for the Pulitzer Prize? What if an asteroid hits the warehouse where all my books are located and obliterates every word that I have so carefully crafted? The what-ifs with their roots in fear equal stalled creativity. Guilt. So you decided to spend several of your precious hours working on your novel, but life interrupted and you didn’t get it done. Now you feel guilty because you’re supposed to write every day (that’s what they tell you in the conferences) and you haven’t done it. That monstrous guilt voice overpowers you and stalls your creativity. You decide God probably didn’t call you to write after all, which adds to the guilt because real Christians are supposed to know what God wants them to do. So how do writers unstall and move forward? I don’t know, but I’ll figure it out in the next post. Right now, I’m feeling stressed and I need to sleep.